Lembeh isn’t just home to frogfish, it’s home to 8 different species of frogfish, 12 species of octopus, numerous crustacean species that cannot be found anywhere else on earth, 3 species of pygmy seahorse, countless numbers of nudibranch species, and new finds and discoveries are continuously being made. 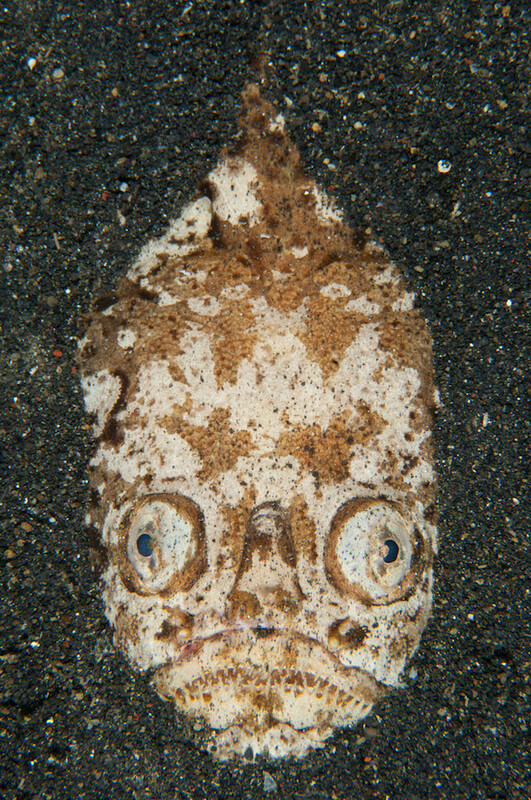 Some of Lembeh’s most iconic species include the Hairy Frogfish, Pontohi Pygmy Seahorse, Wunderpus, Mandarin Fish, Mimic Octopus, Rhinopias Scorpionfish, Flamboyant Cuttlefish, Blue Ring Octopus, and the list goes on – take a look at our Critter Log to see the weird, wonderful, and bizarre species that await you. Muck diving offers something for everyone and it develops an unparalleled attention to detail like no other style of diving can: With nothing to distract, the smallest of details begin to surface. 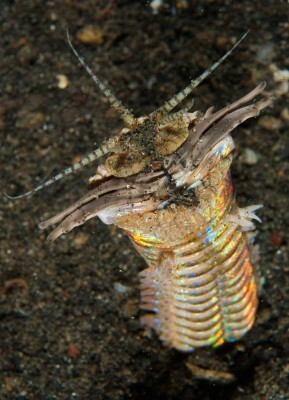 That’s why when we muck dive we go at a slow pace and look to find the most camouflaged and often smallest of critters. Slow and relaxed diving also offers you the opportunity to observe and photograph the wondrous marine life that our expert-trained dive guides are so adept at finding. Going slowly also allows us to witness fascinating and often quite hilarious behavior, such as an irate blue-ring octopus flashing its rings at a sand-perch which has just landed on an octopus’ head (we have seen this!) or a flamboyant cuttlefish stalking, catching, and eating its shrimp prey. Enriched Air Nitrox courses are also available on-site. Due to Lembeh’s protected location, diving is good year-round, seas are always calm and most of our dives have little to no current. Lembeh diving is suitable for all levels; from beginner to the most experienced diver, you will certainly see something you have never seen before! Although we often return to the dive center in between the two morning dives to offer maximum flexibility and convenience for our divers, we also offer some double-dive morning excursions that depart at 8:00 and return at lunchtime. These excursions allow us to explore a little further afield and sample some of Lembeh’s stunning coral reefs. The Lembeh Strait sits in the heart of the Coral Triangle – this area boasts the widest range of marine species and coral diversity of anywhere else on Earth. It is no wonder that some of our favorite reef sites such as California Dreaming, Angel’s Window and Batu Kapal are just as famous as our muck diving slopes! Lembeh’s reef dive sites boast healthy coral, blue water and a host of different critters to those found on the black sand sites. Pygmy sea horses decorate the fans, allied cowries are nestled on the soft corals and you’ll find a host of different nudibranchs and flat worms. If you want to focus on bigger fish and reef-scapes, then these sites also offer excellent wide-angle photography opportunities. During surface intervals, depending on the location chosen, you can enjoy cruising through mangroves or just relaxing with a hot beverage, fresh fruit and snacks. 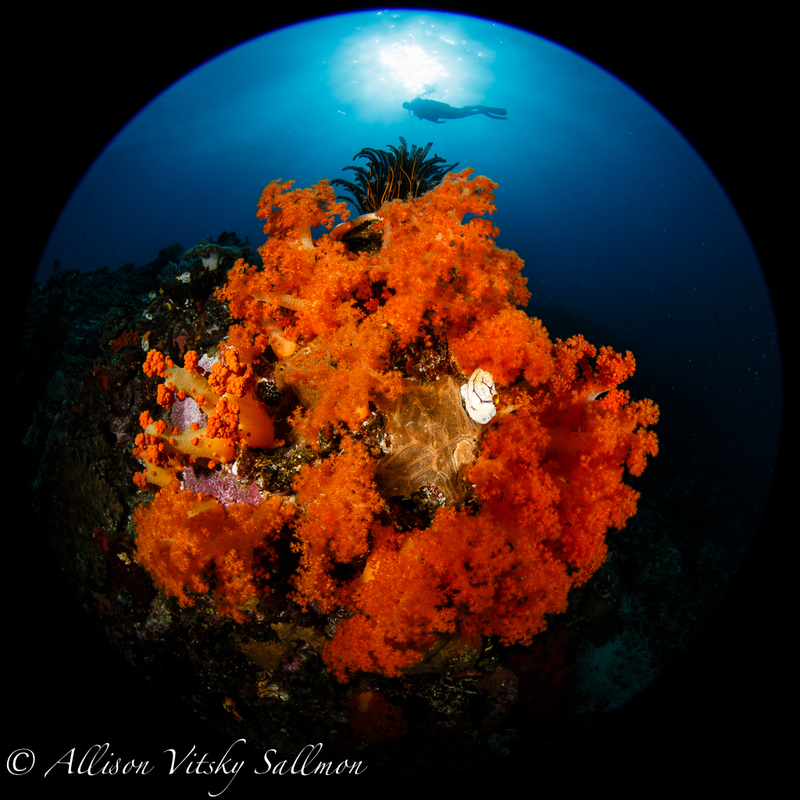 For more info on wide-angle coral diving in and around Lembeh, check out this article by photographers Andy and Allison Sallmon. 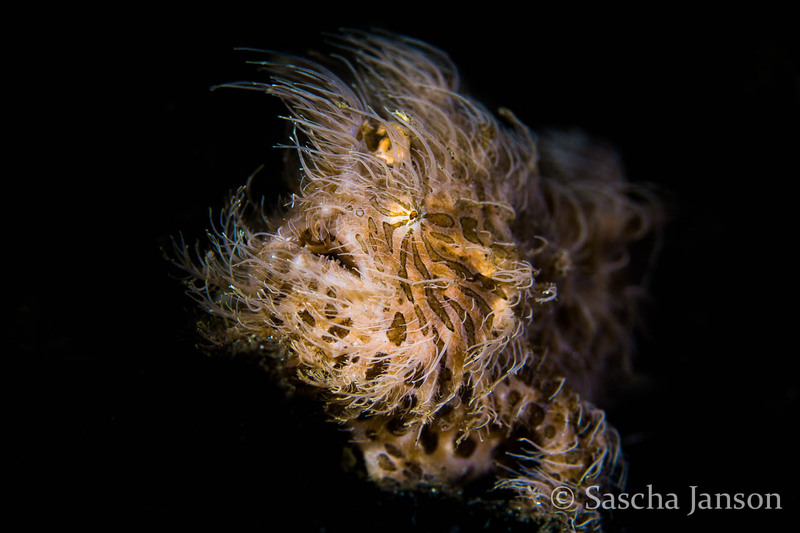 Critters@Lembeh Resort also offers diving to the other areas of North Sulawesi including a full-day trip to Bangka Island which departs at 08:00 and returns at approximately 16:00. Bangka is blessed with clear blue water, stunning hard and soft corals, tiny gems like the Pontohi Pygmy Seahorse, and some great drifts which bring in schools of fish. White tip reef sharks are a common sight around Bangka as well as Eagle Rays, Sting Rays, Ghost Pipefish, Crocodilefish and Banded Sea Snakes! We can also arrange boat transfers between Lembeh and resorts in Bangka/Siladen/Bunaken with dive stops well-situated throughout the day so that you don’t miss out on a day of diving on your transfer day. If you want to experience diving in three very distinctive destinations – Manado, Bangka, and Lembeh – in one trip, please contact us and ask about our “Passport to Paradise” program. Please note that boat transfers and day-trips are weather dependent. 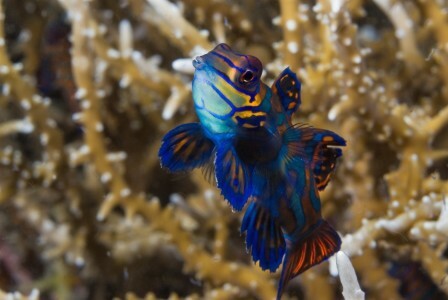 Mating Mandarin Fish dives at dusk are easy, fun and just about the only time you have a chance to see these colorful critters that are at the top of everyone’s wish list. Mandarin Dives are scheduled for Tuesdays and Thursdays; sign up at the dive center early! Space is limited. We offer both Private Guide and Private Boat services, as well as camera caddy. You might be a passionate underwater photographer looking to make the most of your time here to get the best possible photos/videos, or perhaps you are looking to have the exhilarating experience of having a dive site to yourself, or the freedom to spend as much time as you like, where you like. 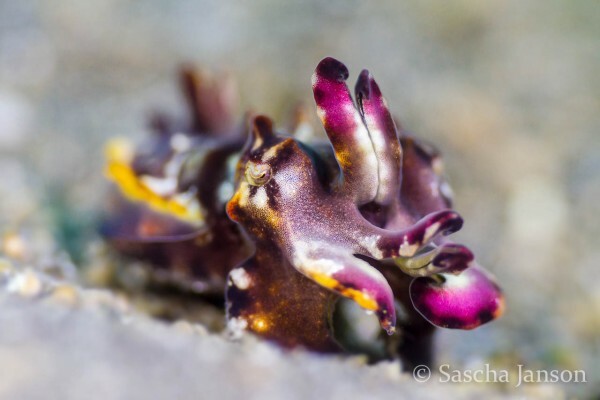 Maybe you want to devote your time in Lembeh to pursuing specific critters. If any of the above sounds like you, Private Guide or Private Boat may be just what you’re looking for! With private boat you can make your own dive schedule, giving you maximum flexibility. Please inquire for further details on schedule, availability and prices. During your holiday at Lembeh Resort, diving at night in Lembeh Strait can be some of the most rewarding of all dives. When the night shift comes on duty you can see many new and enchanting creatures. Stargazer, Starry-Night Octopus and the Bobbit Worm are just a few examples of some of the extraordinary critters that come out to play at night, so don’t miss your chance to see them! 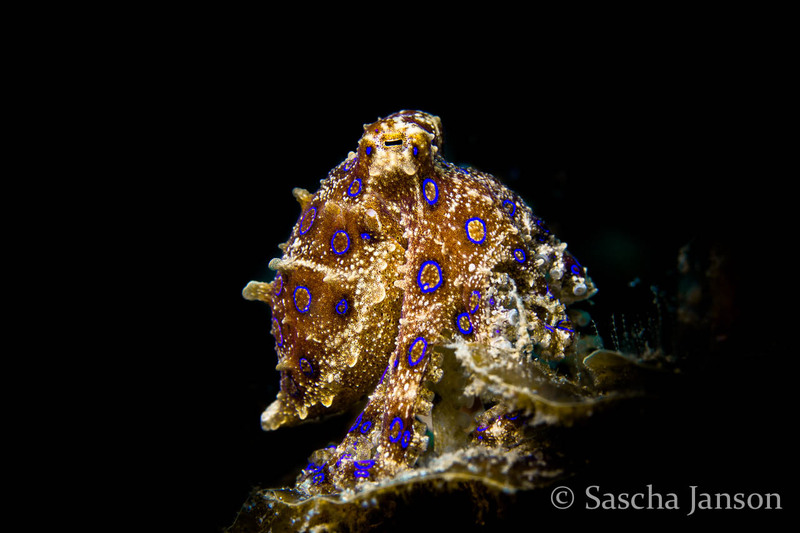 Diving in Lembeh offers countless opportunities to see rare animals and unusual behavior. Upon request, the dive center can organize dives to see beautiful Flasher Wrasses, or photograph animals with their eggs such as the Flamboyant Cuttlefish (if you’re very lucky, you may even have one hatching! 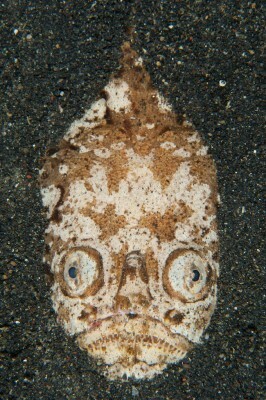 ), Cardinal Fish, or Jawfish. You can also rent a special UV torch to view fluorescence on night dives and special equipment is available at our Photo Center should you wish to capture this wonder of nature on camera. Additionally, underwater naturalist dives customized to your interests are available with our in-house Marine Biologist if you’d like to learn more about Lembeh’s underwater world.